Custom avionics page for FS X. 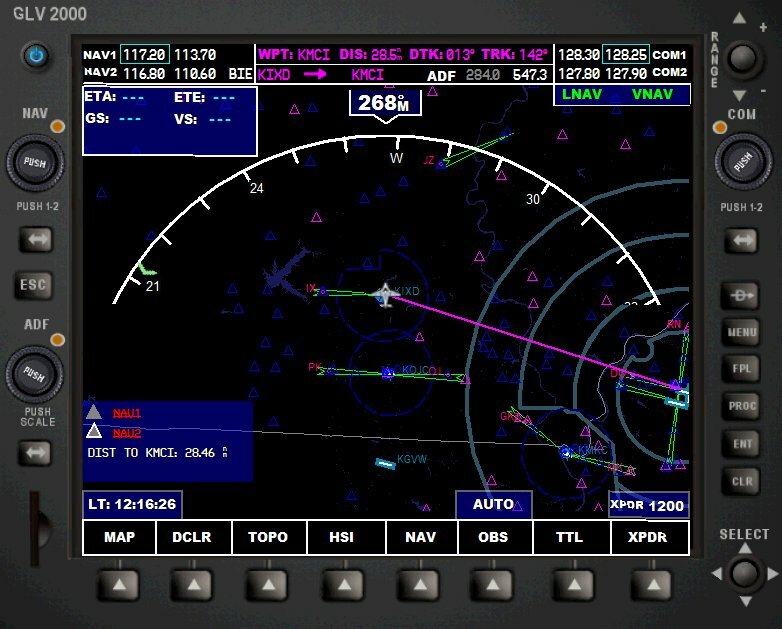 Specially designed for GA aircraft, this unique gauge features LNAV and VNAV capability, as well as a full compliment of NAV/COM, ADF and Transponder radios. 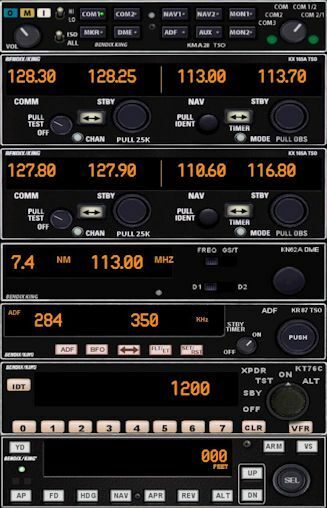 The default radios from Microsoft, while being approximate imitations of their real-world counterparts in appearance, lack the same functionality and features such as memory storage, autopilot axis control, altitude alert functions, and more.The addition of these features will enhance the immersion factor for your virtual flights.